Click here for a promo video from the Swimming cast! Jane Upton is originally from Nottingham and now lives on the Isle of Wight. 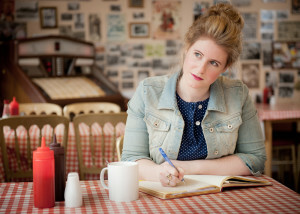 A trained journalist, Jane is an occasional freelance copywriter and increasingly full-time playwright. 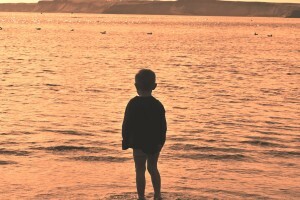 Her first play Bones premiered at the 2011 Edinburgh Fringe where it received 5* reviews. She is currently writing commissioned plays including Watching the Living (a version of Daphne du Maurier’s The Apple Tree and The Little Photographer) for New Perspectives Theatre Company (director Jack McNamara), and All the Little Lights for Fifth Word. In 2013, Jane received a bursary from the Peggy Ramsay Foundation to support her playwriting work. She is also an associate artist of 1623 Theatre. Jack Bence (Jack) won a Jack Petchey Award for drama in his early teens and has not looked back since. He trained and performed with the Youth Music Theatre before landing his first professional job, from his first audition, in Adrian Shergold’s Ahead of the Class. Since then he has appeared in some of British TV’s favourite dramas of the last decade including: EastEnders, Waking the Dead and Sherlock. Having tried his hand at stand-up he has also been seen in several comedies from Peep Show to Phoneshop passing through Parents of the Band and Misfits on the way. On the big screen he appeared opposite Imogen Poots in Wish, Stephen Dillane in Twenty8k and Matt Damon in Hereafter directed by Clint Eastwood. 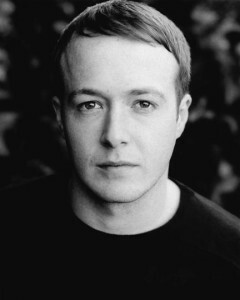 He currently plays Grayson in Bad Education, BBC3’s most successful comedy ever. 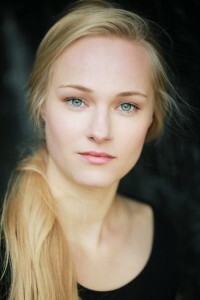 Jessica Madsen (Lucy) recently graduated from The Guildhall School of Music and Drama. Her credits include Breathless for ITV. She has recently completed work on Babylon for Channel 4 and the Sky Arts Playhouse film, Timeless. Jessica has just completed filming series 3 of Mr. Selfridge. 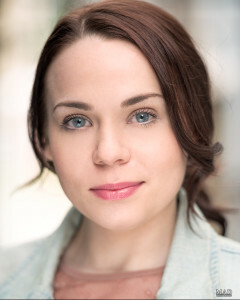 Grace Watts (Milly) graduated from East 15 Acting School in 2012. Her recent work includes: The Art of Dying for Menagerie, Broke and Black Mass two films produced by the MET Film School, a London tour playing Racine in Sugar and Spice with Futures Theatre Company and a Pantomime tour of Cinderella with The Rainbow Theatre Company.